What if I told you that I had all the secrets to achieving content marketing success? What if I then told you that I would share them all with you…for free? I bet you’d be pretty pumped. Well, unfortunately, I don’t have all the secrets, but I did manage to get my hands on a significant number. 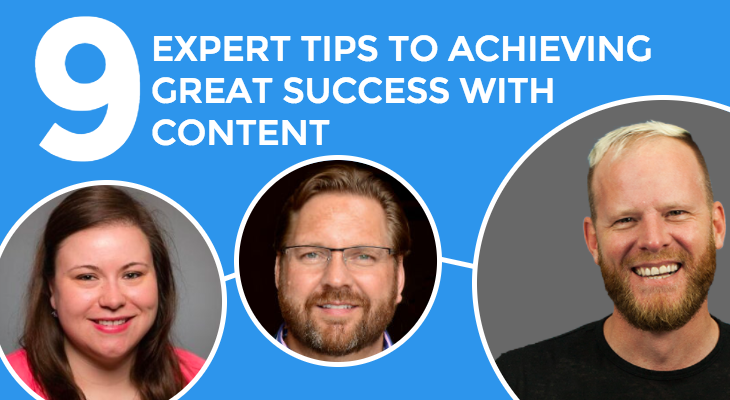 For the past couple of months, my team and I have been hustling in order to put together a list of quick content marketing and SEO tips, directly from the experts. I reached out to nearly 150 different marketing experts, asking them to give us their best tip for any marketer looking to step up their content marketing game. We ended up with exclusive insights from 46 different marketing wizards including Neil Patel, Guy Kawasaki, Larry Kim, Ann Smarty and more! I went through the list of these great content marketing tips and pulled out what I considered the top 9 pieces of advice. Lee Odden is the CEO of TopRank Blog, and an excellent marketer to boot. Well, in order for your content to stand out from the rest, it has to hold the answers that people are actively seeking out. Lee suggests that the goal should not be to create more content, but instead to focus on creating better content. Content that is more useful to the reader than a lot of the fluff content you may often come across. The blog posts that Michael writes for Hover are to the point, with at least one actionable takeaway tip for readers. Not only are each of his posts useful to his audience, but, in addition, he writes multiple posts that cover one general topic. 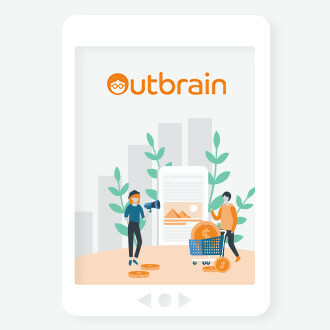 This allows him to get into greater detail and answer a wide range of customer queries, targeting specific groups over and over again. Although Eugene runs a company dedicated to making infographics, the blog doesn’t just cover infographic creation. Many of the posts on Venngage feature original research, that answers questions the public is actively seeking answers to. This enters their content into wider conversations, reaching different audiences and demonstrating how their tool can be used in a wide range of contexts. Ted Rubin is no stranger to the marketing world and runs his own site dedicated to providing useful marketing insights. These wise words, spoken by Ted, often get forgotten. Without proper promotion, it doesn’t really matter how great your content is because no one will see it. Sid Bharath is the VP of Growth at Thinkific.com, and is a wiz when it comes to creating and promoting great content. He realizes how important it is to educate your readers. Not only will it position you as an expert in your niche, but if your methods work, people will keep coming back for more. Sid’s process for creating great content comes down to researching what many people consider to be difficult concepts and articulating them with concrete examples and data. Without credibility, you harm your image and your brand’s image. If you haven’t heard of the CEO of Unbounce.com, you should definitely look up Oli Gardner. Oli believes in the power of repurposing content. But don’t stop there! Once you’ve repurposed your content into a range of different forms, write a follow-up post with new, controversial and opposing views to inspire conversation and debate. He recommends being ridiculous and extreme in your writing to garner attention. Give yourself a voice that makes you stand out from every other marketer out there. You may have heard of Danny Ashton, the talented CEO for the infographics agency, Neomam.com. As someone coming from a background in infographics, I found this advice to be especially insightful. He states that being able to take feedback and improve is key to getting quick success with your content. Don’t shy away from your audience’s opinions — rather use them as a stepping stone to transforming your content from decent to exceptional. Cassandra Jowett is the content manager at Influitive.com and she’s all about creating content for the people. It’s very easy for marketers to become stumped when it comes to producing engaging content for their readers, so who better to ask for ideas and inspiration than the exact people you are writing for? Ask your audience to contribute their thought leadership and best practices to the pieces that you move forward with. Collect their feedback on titles, designs, and formats as well, and they will likely love the fact that they are being given a chance to get involved! Meryl K. Evans is an author, researcher and self-proclaimed content maven who runs her own content marketing website. When creating content, the best way to make it original and unique is to pull from your own experiences. Try beginning with an anecdote, or draw examples from real-life situations. Your audience will be able to better connect with you, and potentially draw parallels from your stories to their own situations. For more expert secrets, including insights from marketing gurus like Neil Patel, Larry Kim, and Guy Kawasaki, you can read the full article and eBook on the Venngage blog. Nadya Khoja is a Visual Content and Digital Marketing Specialist. She is part of the team at Venngage, an online infographic maker. Nadya has a B.A. with Specialized Honors in Devised Theatre and a Master's Degree in Digital Media with a focus on Audience Engagement and Immersive Experiences. When she has time, Nadya directs, produces and sound designs for experimental and interactive performances.